Belzebuub has authored a number of highly popular courses and seven books, including bestsellers both in online stores and in bookstores around the world. Following is a summary of his works throughout the years. Starting in late 2000, Belzebuub began the process of writing courses that were available via free downloadable PDFs online. 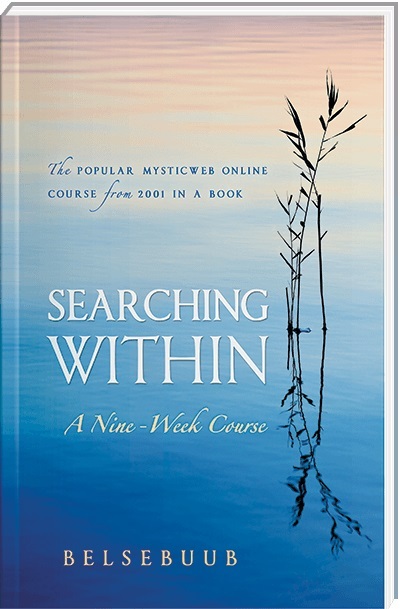 From 2001 to 2011, ninety thousand people in over one hundred countries passed through these courses online or in The Gnostic Movement’s study centers. Courses ran for eight or nine weeks and were highly practical and interactive, consisting of a different weekly topic along with a related exercise each week for students to practice. There were course forums online where students could ask questions they had, or for those who were taking the courses in centers, qualified teachers would always be on hand to take questions before and after all the lectures and practice sessions. In 2001, Belzebuub released his course in astral travel and dreams. This course taught the fundamentals of astral projection, lucid dreaming, and remembering dreams. It explained about the astral plane, the nature of dreams, and how to use out-of-body experiences for personal spiritual development. Furthermore, it included detailed tips and techniques to overcome typical obstacles encountered when trying to astral project, as well as a group astral exercise for participants to attempt to astral project to the same location to meet with other course participants at the same time. The course yielded very successful results: in a survey conducted of those who had completed the course, over 67 percent of participants said they had experienced an out-of-body experience within two months of taking it. The astral travel and dreams course material was compiled into a book and first released in hardcover in 2004, with the paperback release following in 2005. It was further revised and re-released in paperback under a new title in 2006, and again in 2010. Finally, in 2013 a new eBook version was released and then compiled into a paperback once again in 2016. An in-depth summary of Belzebuub’s astral book is available here. A review of Belzebuub’s astral travel book can be seen here. Later in 2001, Belzebuub created his course in self-discovery. In this course, students could learn about their inner workings from a spiritual point of view via personal self-study. It covered exercises such as being in the present moment and self-observation, which would allow students to experience their consciousness and to gain self-knowledge. The course also explained about the components of the psyche, overcoming addictions, creating order in life, and how to improve one’s relationships. Finally, it explained how to better understand one’s dreams and use them for learning and personal growth. self-knowledge as a free online course with downloadable PDFs, it was discovered that people had been taking the information from Belzebuub’s course and repackaging it as their own work and selling it for profit. So in 2005, Belzebuub compiled all the material from the self-knowledge course into a book that was released in paperback in order to give it more protection. The material was further revised and re-released as an eBook in 2011. A review of Belzebuub’s self-knowledge book can be seen here. The course also outlined the Gnostic perspective on “bigger picture” questions such as the purpose of life, the process of death, heaven and hell, karma, and reincarnation. It also included more advanced exercises, including the “three keys,” which Belzebuub says are the essential ingredients needed to walk along the spiritual path. compiled into a book and released in paperback in 2007. It set out to reveal in an easily-understandable format for the modern day the practices hidden in myths, parables, and legends throughout time that people had used to transform themselves spiritually. In 2009 Belzebuub put together a collection of talks1 that quickly became a USA Book News finalist in the best books awards for spirituality. It was first released in paperback in 2010, later converted into an eBook in 2011, and revised and re-released in paperback once again in 2016. This book covered a vast array of subjects such as out-of-body and near-death experiences, the nature of consciousness, why the world is in the state it’s in, and the root causes of human suffering. 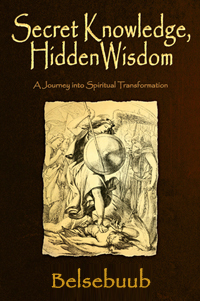 In 2013, a compilation of over forty of Belzebuub’s articles on topics such as the hidden influence behind world events, the true nature of dreams, ancient spiritual knowledge, sacred sexuality, the process of enlightenment, and more was released as an eBook, and later revised and re-released in paperback in 2016. Also in 2013, Belzebuub along with his wife Lara wrote and released two new eBooks concerning the spiritual teachings latent within ancient historical cultures, myths, and traditions. The first book focused on the similarities between various creation myths and how they reveal the process of reaching enlightenment via creation in the universe in reverse. It’s been slated for release in paperback in 2017. The second book details the mysteries of spirituality depicted throughout time in megalithic sites, sacred ceremonies, and many of the ancient writings, artwork, traditions, religions, and cultures of the world. It was thoroughly revised and re-released in paperback in 2016. Information about Belzebuub’s previous catalogue of books is available on Amazon, Goodreads, Abe Books and Thriftbooks. Besides the main courses in astral travel and dreams, self-knowledge, and esoteric wisdom which were run through The Gnostic Movement, Belzebuub conceived of a number of other introductory courses that were also available through The Gnostic Movement at various times. This included introductory meditation courses, short courses on mantras, and a course called “Intro to Gnosis.” A series of audio files from the Intro to Gnosis course have been made available on SoundCloud, iTunes, Stitcher, and Player.FM. To preview a selection of quotes from Belzebuub’s books, you may like to visit the quotes page on his Goodreads profile, or the BelzebuubQuotes website.